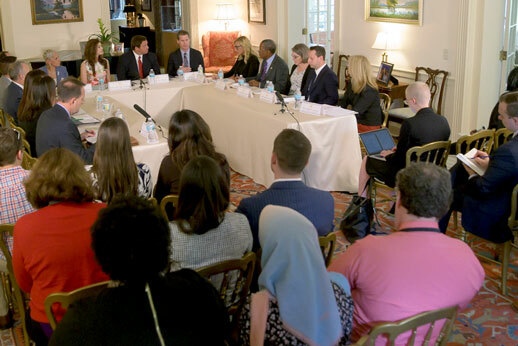 Tallahassee, Fla. – Today, Governor Ron DeSantis and First Lady Casey DeSantis held a Mental Health Listening Session at the Governor’s Mansion with state agency leadership and elected officials to discuss how they can collaborate and communicate with local stakeholders to ensure Floridians are aware and have access to mental health and suicide prevention services currently available in Florida. During the listening session, the Governor and state agency leadership highlighted that $1.8 billion is currently being recommended for the upcoming fiscal year for mental health and suicide prevention, which is more than a $349 million increase over the previous fiscal year. $3.1 million to for mental health facilities provided by the Department of Children and Families (DCF). $65.1 million to support community mental health and substance abuse provided through the DCF. $270.3 million to support Medicaid that provides Community Mental Health Services through the Agency for Health Care Administration (AHCA). $10 million to support mental health through the Department of Education (DOE). $2.9 million to add 28 intensive mental health beds to be provided through the Department of Juvenile Justice (DJJ).